Not every company can afford to spend thousands of dollars on server infrastructure. The growing demand for affordable and scalable hosting and data storage services from both SMEs and international enterprises is one of the primary forces driving its super intense growth. In fact, it is estimated that 80% of enterprise workload will be performed exclusively in the cloud by 2020. But what is “the cloud” and how it’s reshaping the way companies think about hosting? Where to Look for the Right Offer? Before we jump into the hosting itself, let’s take a quick look at what the cloud computing actually is. The most common definition focuses on the ability to run remote operations on a hired data center infrastructure. This could mean renting just a fraction of a web server, such as one 1GB RAM and 30GB storage or hundreds of terabytes of data storage. Simply speaking, cloud is a virtualized pool of resources, which you can access on demand. This can be both hardware, as well as software – for example in the form of SaaS (Software as a Service), which is becoming an increasingly popular way of creating and selling applications. Speaking of different services, let’s take a quick look at the four most popular models. As mentioned above, this is where you get an on-demand access to a software hosted on a third-party server. For example, most software used in digital marketing today is available in the SaaS model. This is where you get access to a hosting environment but dedicated to running specific types of applications. Many popular shared hosting environments are an example of the PaaS service model. This is where you get access to “naked” resources. You decide what OS to install and what software you want to deploy and run. The difference between IaaS and PaaS, apart from the higher level of control in the former is that you are also responsible for updating (and often, securing) the server. There are more variations of cloud hosting services, such as RaaS (Recovery as a Service) and FaaS (Functions as a Service), but because we are more interested in the hosting that we can use for our website, I will skip them and move right onto different types of cloud hosting depending on the datacenter location. Cloud hosting is a type of cloud services in which you rent a certain amount of resources that you can then use to host your or your clients’ websites, store files, or deploy various applications that will help your business, such as analytics tools and trackers. If we look at the location of the infrastructure, we can distinguish three different types of cloud – public, private and hybrid. In a public cloud, your data is stored in a remote data center. Usually, the only thing you are responsible for in a public cloud is the software (if you have more control) or just your files (if you don’t). Everything – from managing and maintaining the infrastructure to the deployment of new users is taken care of by the hosting provider, who is also responsible for the data security. And the latter is the reason why not all companies (especially big enterprises which handle sensitive data such as banks or medical centers) want to use public cloud as part of their strategy. This is where a private cloud comes in. A private cloud hosting is an internal environment created using the company own data center, usually with the use of intranet. Unfortunately, the cost of setting up and maintaining one is very high and usually only companies with pre-existing infrastructure or a lot of resources can afford it. This is because businesses need to pay not just for the hardware, but also for its upgrades, maintenance and security. 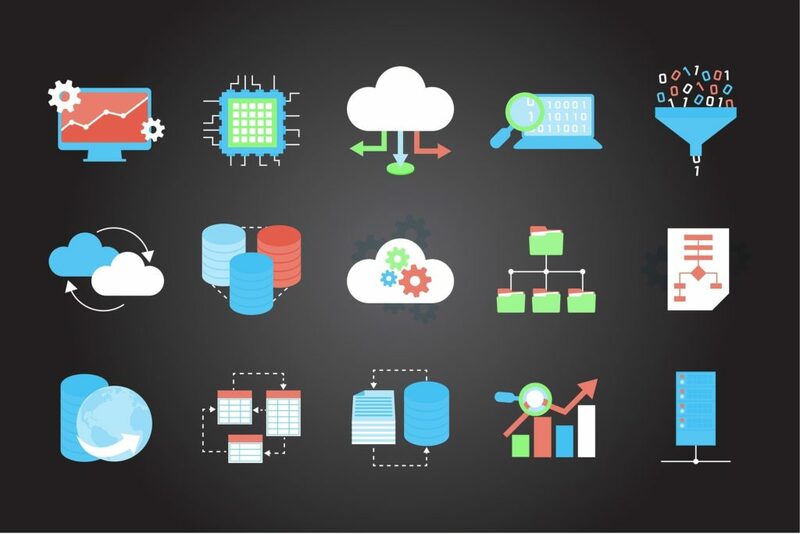 That’s why even big businesses use what is known as hybrid cloud – a mix of both private and public cloud hosting solutions which are sometimes linked to each other through a secure connection. But, unless you are a big business with thousands of gigabytes of data processed daily, you don’t need any of that – that’s why in the rest of the article, I’ll focus on public cloud solutions. There are multiple advantages and disadvantages to using cloud hosting – some of which I have already mentioned throughout the article. The final set of benefits that your business can get from moving to the cloud will depend on its size, goals, and on the offer of the hosting provider. The main advantage of web hosting for small businesses and novice entrepreneurs is the low cost of starting out. For just a couple of dollars per month they can access enough resources to host and grow a site, something that would be impossible if they were forced to create their own hosting environment. Access to almost unlimited resources in the cloud (limited only by the amount that you rent) makes it easy to adjust your server power to your website traffic trends and spikes. This flexibility helps you ensure that your site visitors will often receive top user-experience and that your website speed won’t affect the conversion rate. Another huge benefit of cloud hosting is the ease of scaling. Instead of having to purchase new physical infrastructure to upgrade your CPU, RAM and storage, all you need to do is contact your hosting provider and tell them that you want to increase the allocated resources. The best is, such vertical scaling process takes just a few minutes, is completely outsourced (you don’t have to do anything) and costs you a dozen or so bucks per month for an extra 1GB of RAM and an extra vCPU. One more great perk that comes with remote data center is the fact that you don’t have to manage the infrastructure yourself. Of course, if you rent a clean server, you will need to configure it and deploy all the applications yourself. But there are also fully managed plans, where you don’t have to do anything else other than taking care of your online business. When you own all the infrastructure, you handle the security. While this adds an extra cost, it also enables you to ensure that the server is properly secured. 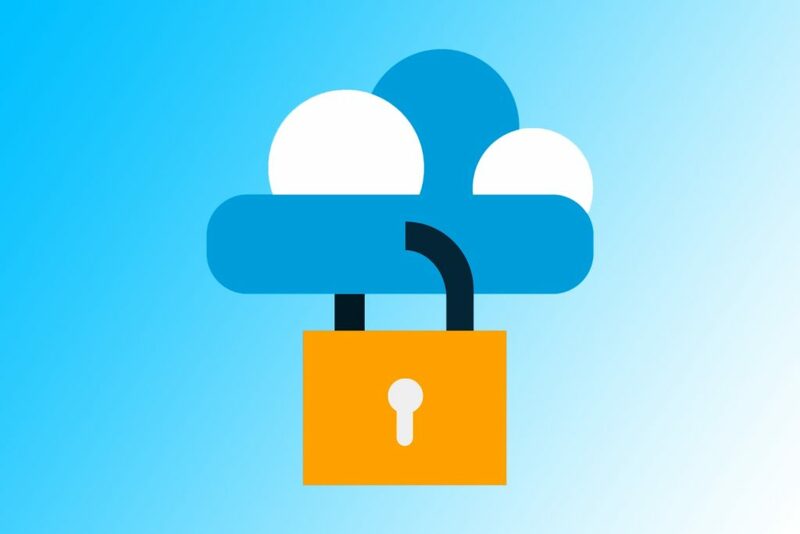 When it comes to public cloud, unless you rent it from a reputable company, you can never be sure how safe your data is. And the number of data breaches is growing rapidly. Naturally, if you choose one of the respected hosting providers, you should have nothing to worry about – especially if you also go for a fully managed plan. Just like you don’t have as much influence on security (unless you rent a clean server where you are responsible for deploying the security software), you have little control over many other variables. The amount of your control will depend on the type of cloud hosting that you rent. In some plans, you will be responsible for choosing the OS, control panel, and the installation of all the applications, while in others, you get a hosting environment that’s ready for you to install your site. If you know how to install the OS, have a set of applications that you want to deploy in mind or can afford to hire someone to do that for you (or already have someone like that on your team), you can go for an unmanaged cloud. This will allow you to configure it the way you want it while saving on the management fees. How much resources do you realistically need? Are you a VC-backed startup with thousands of dollars in marketing budget, an existing business that’s looking to scale quickly or a one-man operation that’s just about to start? Take a look at your current traffic and estimate its expected growth so that you rent just the right amount of resources. Even if the plan has everything you need, double-check the opinions about your web host. In the end, they will manage your data, so you want a company that treats its customers seriously, secures their servers properly and is compliant with the industry standards. Without the latter, you will be unable to run certain types of businesses. There are many ways in which you could look for the right company. You can use Google, ask your friends and colleagues, or look around in different Facebook groups or on marketing forms. To cut down the time needed for research, you could also get cloud hosting here or you can opt for unmanaged cloud hosting from Digital Ocean. While I am usually not a big fan of recommending anything, if you’re looking for an offer that ticks all the points and which I believe is a perfect choice for any small to medium businesses, you can give it a test ride for 30 days. If you quit earlier, you won’t pay a dime for it. So, are you ready to test cloud hosting in practice? Next articleHow to Choose the Right Gaming Monitor?